NOOSA Triathlon have one eye on a sustainable future with 180,000 fully-compostable hydration cups provided for the five-day event. 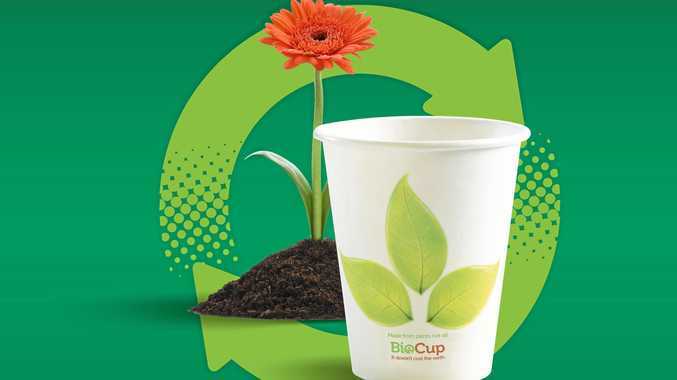 Instead of using disposable plastic cups for hydration of the athletes, this year the Multi Sport Festival have invested in BioCups that are sustainably sourced and made from renewable plant resource. The move is a partnership between IRONMAN Oceania, Tourism Noosa and Plastic Free Noosa, meaning that instead of the cups going to landfill, they will be commercially composted and in eight weeks turned into a nutrient rich compost that can be used to grow more crops, returning nutrients to the soil. IRONMAN Oceania Managing Director Dave Beeche said that the sustainability of all events and playing an active role in the three R's - reducing, recycling and reusing is a high priority of the organisation moving into the future. "As an organisation with a large portfolio of events across Oceania we recognise that we have both a logistical and educational role to play in waste reduction,” Mr Beeche said. "This initiative at the Noosa Triathlon Multi Sport Festival is about closing the loop for paper cups and is a very significant step in the future of waste reduction at our events,” he said. "This one initiative the event will divert 1.4 tonnes from landfill and create 7,530 litre bags of nutrient rich compost. We look forward to working with the athletes competing at the Noosa Festival, opening up the conversation about sustainability at our events and encouraging them to work with us on this initiative to help in reducing waste going to landfill..